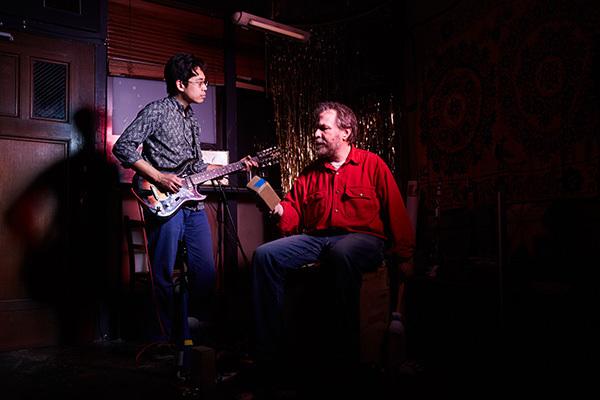 In 2012, Brown and Chen began playing together, naming their duo 75 Dollar Bill. “When we first sat down, it was like, ‘Boom!’” Brown explains. “We played a lot in a short time and made up a bunch of stuff really quick.” In the four years since, they’ve filled five releases with hypnotic, Zen-like instrumentals, some of which last as long as a half hour. Chen’s curling guitar lines bear the influence of many international styles, including those he gleaned from lessons with a teacher in the North African country of Mauritania. Brown’s drumming—honed through his years in New York bands going back to late ‘70s No Wave (including Run On, with Alan Licht)—is rock-solid, yet always evolving. Though 75 Dollar Bill’s music feels impulsive, it’s not strictly improvised. Every song is based on a nugget of an idea, be it a single riff or a full melody. 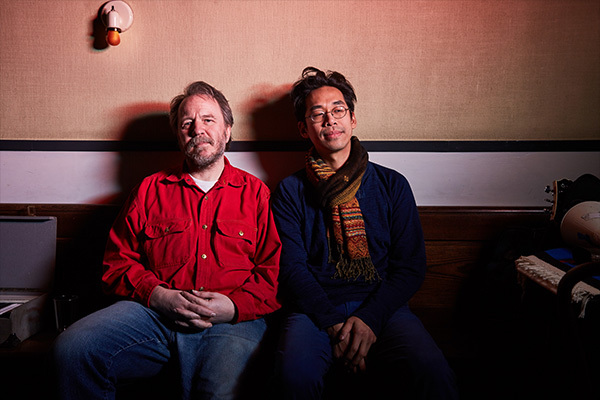 On their new album, Wood / Metal / Plastic / Pattern / Rhythm / Rock, the duo are joined by a host of guests, who add trumpet, saxophone, contrabass, and viola. Similar collaborations dotted previous 75 Dollar Bill recordings, but the integration is deeper this time, adding density to songs that have been around since the band began. “I’m surprised and excited at how adaptable what we’ve got at the core has been to these expanded lineups,” enthuses Brown. 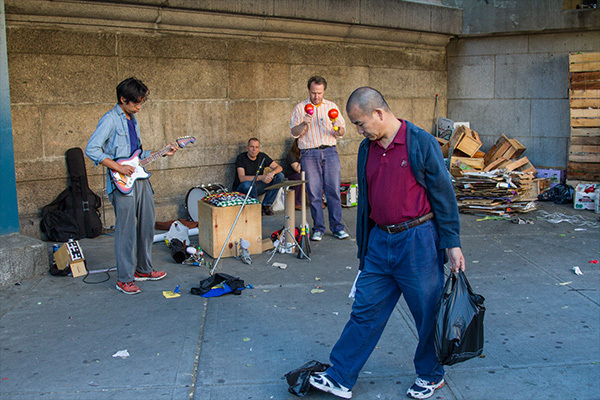 This emphasis on simplicity, combined with a preference for what Chen calls “more of a folk volume than a crazy rock volume,” has made 75 Dollar Bill well-suited for street busking. They’ve only done it a handful of times, but it has produced some of their most memorable moments, especially a 2013 sidewalk jam in Chinatown immortalized on YouTube. Brown’s own percussion element, the trusty wooden box, has gotten so much use that friends worried it might crumble. So he had his brother construct a replica—but it didn’t quite work. “I realized that the number of plies in the plywood is extremely important,” Brown explains. “There are all these factors that I couldn’t really recreate, because I couldn’t find exactly the same wood.” Eventually, another replica made in Amsterdam during a European tour sounded close to the original. Its wood has since been combined with his brother’s to form the box Brown now uses most, though he still breaks out his original from time to time. This entry was written by Editorial, posted on August 5, 2016 at 6:25 am, filed under featured music and tagged 75 Dollar Bill, Brooklyn. Bookmark the permalink. Follow any comments here with the RSS feed for this post. Post a comment or leave a trackback: Trackback URL.